We all know that cold winter weather in much of the country can result in frostbite, car accidents, fires, and other problems. In Hollywood and the rest of Florida, we tend to feel safe from these issues, but the first few weeks of 2015 have seen unseasonably cold weather in parts of Florida. Even South Florida saw temperatures below average recently and in more Northern areas of the state colder weather prevailed. 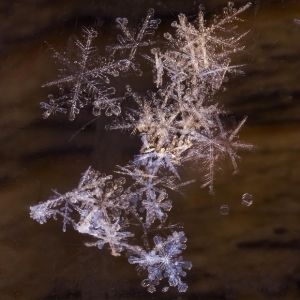 Jacksonville even saw about three hours of flurries earlier this month. 1) Make sure loved ones get medical attention. Vision problems, certain medications, and some medical conditions can increase the chances of falls. Make sure that your elderly family members have been to the doctor recently, have up-to-date medication, and have a clean bill of health. If an elderly family member has a condition that puts them at risk of falls, speak with the doctor and with your family about ways to reduce the risk as far as possible. Many spinal cord injury patients in Homestead sustain their injuries in falls or traffic accidents. A new study, however, suggests that more patients today are sustaining their injuries in falls. A study in the Journal of Neurotrauma reported that spinal cord injuries are on the rise across the country. The main cause of these injuries now appears to be related to falls, with seniors most affected. 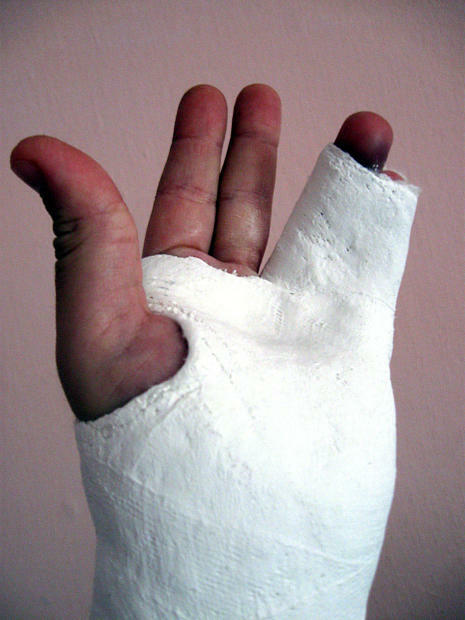 In the past, it was assumed that car accidents were the leading cause of these injuries. The study looked at 43 000 spinal cord injury patients who visited emergency room departments between 2007 and 2009. In 2007, about 52 people per million in the 18-64 age group were admitted to ERs with spinal cord injuries. By 2009, that rate had dropped to about 50 people per million. At the same time, the injury rate for seniors age 65 and older increased from 79 to 88 people per million. During this period, fall accidents were responsible for 41.5% of the injuries and traffic accidents accounted for 35.5% of the spinal cord injuries studied. The rate of fall-related spinal cord injuries among seniors also jumped in the same time period. In 2007, fall-related spinal cord injuries were responsible for about 23.6% of spinal cord injuries among patients over 64. By 2009, about 30% of spinal cord injuries affecting seniors were linked to falls. •Seniors who have sustained spinal cord injuries are six times more likely to die due to their injuries after being admitted to a hospital, when compared with younger spinal cord injury patients. The study’s authors have stated that the reason for the changes may be because the overall population is aging while seniors remain more active in their later years, increasing the risk of falls. Improved safety systems in cars as well as improved safety laws may also be lowering the rate of injuries in car accidents in Homestead and other communities. •Help elderly loved ones get quality medical care. In many cases, falls can be caused by declining vision, certain health conditions, medication, or changing mobility. Ensure that seniors get quality medical care and advice as well as regular check-ups so that any health conditions can be managed. •Encourage elderly loved ones to stay physically fit. Good muscle tone and strength can help prevent falls and can keep seniors active and healthy longer. •Investigate care options carefully. Unfortunately, poor supervision as well as neglect and abuse in assisted living facilities can contribute to falls. If a loved one needs caregiving, run background checks and check references carefully. •Remove obstacles that can lead to falls. Making a home more accessible can mean installing grab bars in the bathroom and no-slip treads in the shower and on hard surface floors. Simple changes can mean much better safety for a loved one. Since Florida has a significant population of elderly residents, preventing slip and fall accidents in Homestead and other communities is a serious priority for many Florida families. For seniors, falls can easily lead to fractures, head injuries in Homestead, and other serious injuries. A new study from the Yale School of medicine suggests even more reason to prevent falls. According to researchers, seniors who have sustained a serious injury in a fall are slower to recover if they have a previous disability. Researchers looked at over 100 elderly patients who had suffered a fall in the past twelve months. A year after the fall, those seniors with no existing disability had a 38% probability of a slow recovery and a 45% probability of a fast recovery. In contrast, those who had a disability had a 70% chance of not recovering while those with a severe disability were very unlikely to recover from a fall at all. 1) Researching caregivers carefully. Nursing home abuse and negligence in Homestead and other cities is a serious concern and unfortunately is an all-too-common problem. Researching caregivers and facilities may help prevent abuse and the type of negligence that can lead to falls and injuries. 2) Ensuring that older family members get regular medical attention and check-ups. Inner ear problems, vision problems, mobility issues, and balance difficulties can all make slip and fall and trip and fall accidents more likely. Regular check-ups can help prevent these problems and can reduce the risk of falls. It can be especially important to get follow-up care if an elderly loved one is using a new medication or has a new condition. Until the body adjusts to the treatment or new condition, falls can be more likely. 3) Making the home accessible for elderly residents. Grab bars in the shower and the bathroom can help prevent falls. Keeping a home tidy and free of clutter can also be helpful. In some cases, an elderly relative may need some assistance getting their home safer. 4) Visiting often. In many cases, dangerous conditions go unnoticed because an elderly person is concerned about asking for help or is embarrassed. In a nursing home, for example, elder abuse in Homestead may go unreported. In the home, untidy conditions or dangerous steps may not be addressed unless family or friends intervene. One of the best things you can do for someone in your life is to visit and to keep lines of communication open so that if there is a problem you will be alerted about it. Doctors often recommend that older patients as well as patients suffering from various illnesses exercise regularly in order to keep muscle and balance at optimal levels. For the elderly, especially, proper strength training and exercise can promote a better quality of life and can help prevent some accidents. For example, elderly patients who have good balance and better muscle strength may have a lower risk of slip and fall accidents in Hollywood or their community because their muscles and mobility are improved. Exercise has also been proven to lower the risk of some cancers, heart disease, and a host of other illnesses. For bicyclists, exercise can help promote mobility, flexibility, and strength, which can help bicyclists enjoy their sport longer but can also help prevent bicycle accidents in Hollywood and across Florida. If you bicycle, being strong and being able to move quickly to avoid a car crash is an important part of staying safe on the road. According to exercise experts, exercise should be a lifelong endeavor and should be seen as a way of investing for the future. Basic exercises such as abdominal crunches, squats, bicep curls, and push-ups can help build strength and a strong core, helping with balance and other issues. While the number of repetitions and the range of motion may change gradually over time, healthy adults should be able to perform these exercises in some fashion well into their golden years. Exercise will change as a person ages. The maximum amount of oxygen your body is able to will start to decrease after age 20, often at a rate of 1% per year. For people who have suffered a serious illness, the decrease may be even more rapid. In the 30s, muscle strength will start to be affected, and will accelerate after age 50. In the older years, muscle strength may be reduced by as much as 15% every 10 years. For women especially, bone mineral density will also become an issue. While aging is inevitable, experts say that combining strengthening, aerobic, and flexibility exercises can help maintain strength and safety for years. Balance exercises can help prevent falls, which can help prevent head injuries in Hollywood and other communities as well as fractures and other injuries. Even if a person is no longer able to maintain high intensity workouts, lower intensity exercise done consistently can still yield excellent results. Swimming and running are both considered very heart-healthy exercises. If you’ve never engaged in these types of exercise before, you may wish to speak with a doctor before beginning these or any exercise regimen to ensure that you are in good enough shape to handle the intensity of these workouts. For bicyclists, it is important to combine biking with other activities that develop the hamstring muscles as well as the quadriceps muscles. In bicycling, there is extra focus on the quadriceps muscles, but without balancing strength in the hamstring muscles, injuries can occur. Florida law requires that business owners maintain their business properties in safe conditions for employees and customers. If someone is involved in a slip and fall accident in a Miami business or another Florida business, the victim may be able to seek compensation for medical costs, lost wages, and other damages if the business owner was negligent in providing a reasonable standard of safety and maintenance of the business property. For victims who have sustained a fracture or a head injury in Miami or another community after a slip and fall accident, it becomes important to understand the laws that affect these types of cases. Before 2001, plaintiffs in slip and fall cases involving a foreign transitory substance had to prove that the business owner has constructive or actual knowledge of the dangerous condition. In 2001, however, in Owens v. Publix Supermarkets, Inc., the law shifted and now business owners had to prove that they used reasonable care in providing a safe business premises. In 2002, Florida passed Fla. Stat. § 768.0710 (2002), which no longer required that plaintiffs prove that business owners knew about a foreign transitory substance that led to a slip and fall accident. In 2010, Florida passed Fla. Stat. § 768.0755 which requires that in slip and fall cases involving a foreign transitory substance plaintiffs must prove that the business owner knew about the dangerous condition and failed to act reasonably to address the issue. In May 2013, in the case Kenz v. Miami-Dade County and Unicco Service Co., a judge deemed that his law could be applied retroactively. The law has clearly shifted often, so that Florida plaintiffs now have a higher burden of proof in some slip and fall cases. 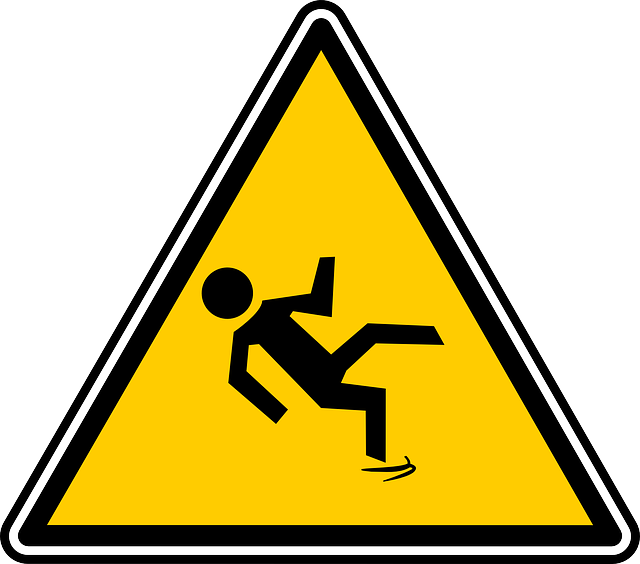 If you have sustained an injury in a slip and fall case, the 2010 law may be applied retroactively. If you have sustained an injury on a business premises, it is important to consult with a personal injury attorney in Miami or your community as soon as possible after the injury. An experienced lawyer will have extensive experience of current laws affecting your case and the experience to build a strong case on your behalf. If you decide to file a personal injury claim in Miami or your community, an attorney can help you pursue your claim. According to the Centers for Disease Control and Prevention (CDC), one of our every three senior Americans (age 65 or older) experiences a fall. According to experts, falls are the leading cause of fatal injuries and emergency room visits for seniors. The CDC reports that 20-30% of seniors who fall suffer from injuries such as head injuries, his fractures, broken bones, or lacerations. Seniors are more at risk because they tend to have pre-existing age-related ailments and because their balance and strength may be affected by inactivity over the years. Unfortunately, for seniors, slip and fall accidents in Hollywood can become a cyclical problem. Once seniors experience a fall, they may experience injuries that increase their risk of a fall. At the same time, they may want to move less and may become less active because they fear falling, and this can cause them to increase their risk of falls. 1) Speak to a doctor about any symptoms which can increase the risk of falls. Symptoms such as weakness, dizziness, and other problems can be the sign of a serious ailment, and getting prompt medical attention is important. Treating symptoms is also important for helping to prevent falls. 2) Get regular exercise. When speaking with a doctor, seniors should discuss exercise programs that can help them gain strength, mobility, and flexibility. Staying active ensures that muscles stay strong, reducing the risk of falls. If you are taking part in any higher-risk activities such as bicycling, use a helmet. If you are in a bicycle accident in Hollywood, a helmet can protect you against a head injury. 3) Check medication regularly with a doctor or pharmacist. Some medications cause dizziness or other side effects that can increase the risk of a fall. Medications can also interact with each other and cause new side effects, which is why regular reviews are important. 4) Keep floors in your home clear. Use non-slip backing on rugs or carpets or get rid of them entirely. Install non-slip strips in the bathroom, kitchen, laundry room, and any area where floors can get slippery. In addition, keep pathways through the home clear of debris, small items, and low furniture which can pose a tripping hazard. 5) Keep everyday items at waist level. Having to bend over for items can cause dizziness and falls. Having to climb on a ladder or stepstool for an item can be even more hazardous. Each year, people sustain head injuries in Hollywood and across Florida because they fall from chairs and ladders. 6) Install good lighting in the home, including by the bed. Good lighting can make it easier to see the floor and any hazards on the floor. 7) Install grab bars in the tub, shower, and by the toilet if mobility is an issue. They provide support for those who need it. If you have been injured in a slip and fall accident in Davie or anywhere in South Florida, you may have a right to seek compensation for your medical costs, lost income, and other expenses related to your injuries. If, like many people who have suffered a serious fall, you are a spinal cord injury or head injury patient in Davie or South Florida, you may be eligible for considerable compensation as the costs of your injury may be significant. 1) Should the owner of the property or any premises known about a dangerous surface or potential hazard and not done anything to resolve the issue? If a restaurant owner, for example, knew about a spill or uneven step but failed to fix it, you may have a claim. 2) Did the owner of the property cause a spill or other hazard? In some cases, an owner of a property causes dangerous conditions through incorrect maintenance or by not taking proper care of their property. 3) Would a reasonable person taking care of the property seen the dangerous condition and repaired it or removed the problem? In some slip and fall cases, personal injury attorneys in Davie and other communities will show liability by arguing that a property owner failed to take the basic precautions that would be expected in the situation, and this negligence led to an accident and injuries. 4) Were you taking reasonable precautions? That is, were you taking the basic precautions that a person would reasonably take in the situation? For example, if you saw an uneven step, did you attempt to walk up the stairs safely? 5) Did you heed any warning signs in the area? Were there clear warning signs posted about the danger? Did you obey the signs? 6) Were you in an area where you were supposed to be or an area where the owner of the property could have reasonably predicted you might be? In some premises liability cases in Davie and South Florida, accidents occur because someone wanders into an area where they are technically not supposed to be. For example, a child may wander into a pool area. Property owners are expected to take reasonable precautions, however, to keep any areas where people may reasonably visit safe. 1) Osteoporosis. This condition usually emerges in later life and causes the bones to become porous and weak. The weakness of the bones makes slip and falls more likely. At the same time, the condition itself can cause Aventura personal injuries in a fall. Those who have osteoporosis are more likely to break a bone or suffer serious injury in a fall. According to experts, elderly women, in particular, need to be screened for the condition and need to consume adequate amounts of calcium and Vitamin D to help prevent the condition. 2) Vision problems. Cataracts, Age-Related Macular Degeneration (AMD), glaucoma, and other vision problems often occur in our senior years. These vision problems can in some cases affect depth perception and of course make it harder to see obstacles which can cause a fall. Yearly eye exams are important to maintain good eye health. In cases where someone has a vision problem, placing contrasting strips on stairs and other uneven surfaces can help prevent falls. 3) A sedentary lifestyle. Lack of adequate physical exercise results in poor flexibility, poor coordination, weak muscles, and decreased strength. These results can lead to poor overall condition, which can contribute to slip and fall accidents. Daily exercise can help prevent Aventura slip and fall injuries, but it is important to speak to a physician before starting any physical exercise program. 4) Environmental hazards. Obstacles, uneven flooring, loose rugs, and even poor shoe choices can contribute to Aventura slip and fall accidents. If you are concerned about falls, it is important to walk through your home and property in order to note and fix and possible danger areas. Good lighting can also help reduce the risk of trip and fall and slip and fall accidents. 5) Medications. Some over-the-counter and prescription medications have side effects which can affect balance, blood pressure, and alertness. These types of side effects can make a patient more susceptible to slip and fall accidents. When patients take multiple medications, especially, they are vulnerable to not only side effects but also to drug interactions. To prevent this, it is a good idea to carefully read the labels of any new medication and to discuss any medications you are taking with both your pharmacist and doctor. In many cases, you can bring a list of all your prescription and over-the-counter medications to your doctor or pharmacist to make sure that there are no drug side effects or interactions you need to be aware of. Do you work in Carver Ranches? If so, you may already be aware that workplace safety is of utmost importance. Employers are expected to provide a safe environment for their employees, but each year people file Carver Ranches workers compensation claims and Florida workers compensation claims after being injured in the workplace. Carver Ranches slip and fall accidents are among the most common Carver Ranches workplace injuries. Carver Ranches slip and falls or trip and falls can occur in just about any workplace, from construction sites to office environments. These accidents, although perhaps not as dramatic as Carver Ranches car accidents, still can cause serious injury. Each year, people sustain fractures, spinal cord injuries, and other serious injuries in workplace slip and fall accidents. These types of accidents can cause lost income as well as thousands of dollars in medical bills. In the workplace, Carver Ranches slip and fall accidents can occur due to occasional spills, wet surfaces, weather hazards, loose carpeting or mats, poor floor traction, and trip hazards. 1) Practice good housekeeping. Employers should check the safety and the cleanliness of the workplace often. Tripping hazards, clutter, and spills should be removed promptly to ensure that no Carver Ranches personal injuries can occur in the workplace. 2) Provide good quality walking surfaces. Resurfacing older floors, checking carpeting and rugs often, and providing no slip treads can all make walking surfaces safer for everyone. Areas where moisture is likely should especially be coated with special anti-slip protection or should be surfaced with flooring that provides good traction, even when wet. For example, outdoor spaces that can get wet in the rain should still provide good grip even when wet. 3) Inform employees of hazards. In some cases, hazards cannot easily be removed. For example, stairs can pose a fall hazard no matter how many steps are taken in order to make them safer. In cases where hazards cannot be completely removed, employers should post signs that clearly indicate the dangers, so that employees know to be extra cautious. 4) Encourage safe footwear. If the workplace has a uniform, that uniform should include safe shoes. If no uniform is required, employees should nevertheless be encouraged to wear safe, sturdy shoes that reduce the risk of slip and fall injuries. 5) Educate employees about workplace safety. Many Carver Ranches workplace accidents can be reduced or eliminated with proper employee caution. Employers should take care to educate their employees about dangers and about proper safety practices in order to make the workplace the safe as possible. 6) Ensuring good lighting and visibility. Good lighting can help ensure that employees can see where they are going, which can help reduce trips and falls as well as Carver Ranches slip and fall accidents. Replacing light bulbs as needed and ensuring that light bulbs are sufficiently bright and well placed can help make the workplace safer for everyone.